If there is one genre I shy away from, it is horror. Ever since I watched Paranormal Activity at a junior high sleepover and faced a long, dark hallway the whole night, I have sworn off the genre altogether. Growing up I lived in a wooded, rural area, and watching serial killers and demons on the big screen posed no appeal to me whatsoever. I always felt guilty, though. Family and friends would want to watch scary movies, especially during the Halloween “spooky szn,” and were forced to pick other options because I didn’t want to be checking my closets for the next few months to come. Recently, however, I gave in. After my boyfriend expressed the desire to see the new Halloween movie several times, pleading I go with him, I caved. I found myself very nervous but also very excited. Surprisingly, I wasn’t dreading the event, but looking forward to sharing this new experience with him (cue the “awwww’s”). So we went, we watched, we cut off each other’s circulation with our tight holds on one another, and we lived. I lived. I survived seeing a scary movie, in the theater with the big screen and surround sound. I found myself smiling in anticipation of the jump-scares and laughing at our reactions. One thing that I never felt was genuine fright, something that I had always associated with watching scary movies when I was younger. When we got back to my apartment we jokingly checked all the closets, behind the shower curtain, and under the bed for any Michael Myers characters who might have decided to follow us home. Luckily, the place was empty. I think the main thing that allowed me to genuinely enjoy the movie was the quality of the film itself. The narrative had a concrete storyline, strong female protagonists, wide-spread characterization, and much-needed comic relief. I felt like I was watching the movie with a purpose other than just watching people get murdered; Jamie Lee Curtis’ character, Laurie, and her family held the plot in place and gave the viewers a purpose and want for redemption as we watch murder after murder. The murders also had meaning; almost every character killed was characterized and developed before their demise. It was more than a bunch of random people running rampant and getting killed by their own stupidity. 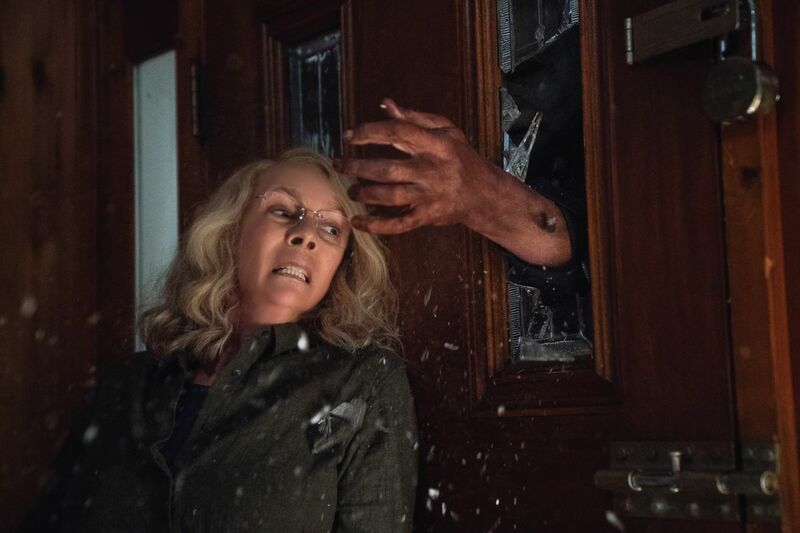 I’m no movie critic, but I definitely would give Halloween 5 stars when held up against your typical scary movie with flat characters and pointless deaths. Michael Myers and Laurie are both on a mission—each coming for the other—as well as for your undivided attention.